That mockingbird will sing | Thinking is the enemy. 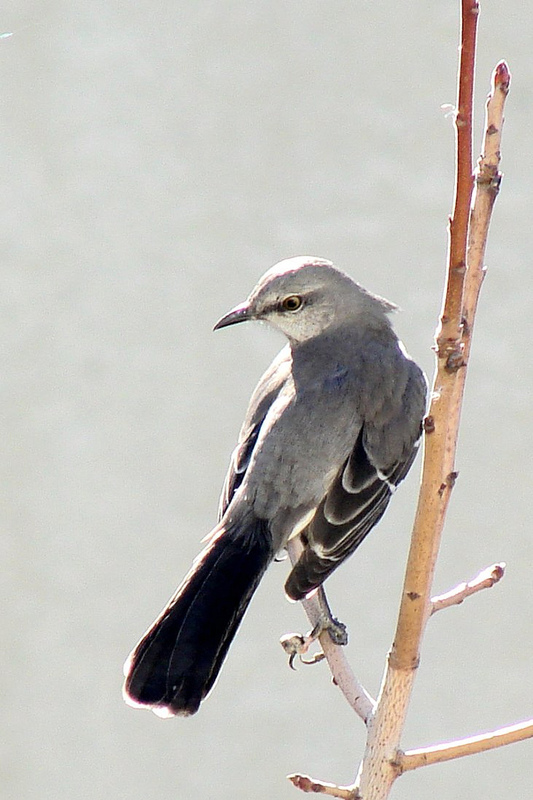 “Mockingbird” by Dawn Ellner is licensed under CC BY 2.0. While I was at work today, I took a break to walk over to another building to get some decent coffee. It was late enough so that most people had already arrived and were snugly ensconced in their offices, so I had an expansive parking lot and a nice little stretch of sidewalk all to myself. I walked by a lot of cars. Some cars I notice trigger an immediate negative reaction for me: Mercedes SUVs, extremely clean off-road trucks, and hybrids plastered with holier-than-thou stickers. Once I got past the cars, though, I noticed other things. A wriggling worm. A squished worm. A gray mockingbird sitting up high on a sign, pretending not to notice me. I whistled a little to see if it would do anything, but it just gave me a disdainful look, as if to say, Look, buddy, you should leave it to the professionals. After I got my coffee and reversed my route, I noticed the same bird was on the sign. Part of me wondered if it was real, or if someone had just stuck a fake bird on there as some kind of joke. But it moved, tracking me first with one eye, then the other. As I walked away, I glanced over my shoulder and saw the mockingbird still there on its observation post. Later, I read a little about mockingbirds. Apparently they can learn up to about 200 songs during their lives, which is way more than I can remember. At one point, according to All About Birds, they nearly disappeared from many places on the East Coast because people were buying them for their music. In the early 19th century, some mockingbirds sold for as much as $50, which would be over $1,000 today. I had no idea that something I’d taken for granted, a bird I’ve seen almost every day since childhood, had such an interesting story. This made me think of all those wonderful books with animals as the main characters — mostly for kids, but some for adults — including Watership Down by Richard Adams, and the fabulous Redwall series by Brian Jacques. Brian Jacques is a hero of mine. He didn’t publish Redwall, his first novel, until he was 47 years old. That first book grew from a series of stories he told to children at a school for the blind where he delivered milk in his job as a truck driver. Jacques died in 2011 after writing more than 20 novels in the main Redwall series, along with many others. Once, when asked where he got his ideas, he told a group of students that he takes his dog for walks and looks around. I have a feeling he could have coaxed a song out of my mockingbird. This entry was posted in Miscellaneous and tagged brian jacques, inspiration, mockingbird, redwall, watership down, writing. Bookmark the permalink. A very good reminder that stories are all around us, just waiting to be told. Thanks, Chris.